Comes as Digipak with a 20 page booklet. 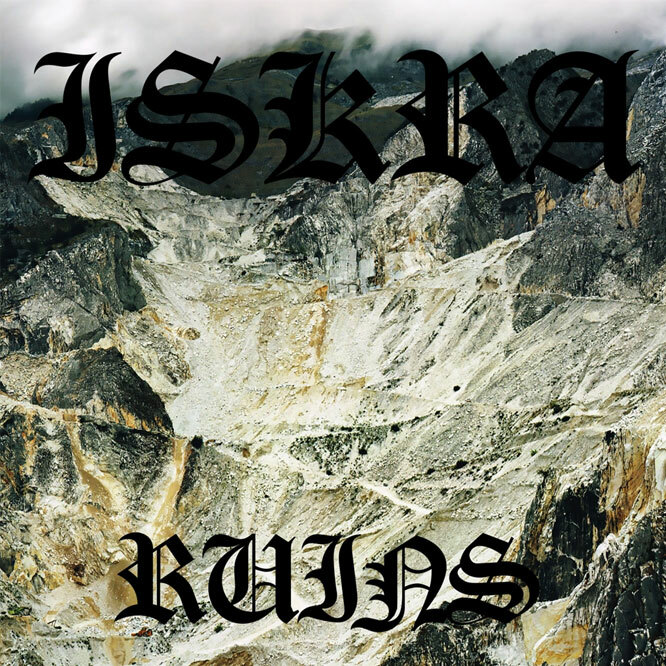 The blistering anarchist black metal unit ISKRA are teaming up with Southern Lord for the CD release of their latest phenomenal LP, Ruins. Approaching the most fearsome of all genres from a foundation in filthy metallic crust, ISKRA have skilfully created an old school orthodox epic that their extensive back catalogue has always been working towards, and in Ruins is executed in sublime, scathing style. The Canadians, almost two decades in to their journey as ISKRA, stand out as staunch advocates of anarchism, and reject all forms of oppressive mainstream ideologies such as communism, fascism and democracy. To underline this, they coined their unification of extreme punk anger and black metal sonics ‘anarchist metal’, separating themselves from other acts deemed as ‘extreme’ or ‘radical’ but lacking conviction or real menace. It is certainly evident in their vitriolic offensives that they mean business, but most impressive is the sharp, refined songcraft that makes Ruins a compelling black metal record regardless of your political (dis)orientation. The magnificent constantly shifting tremolo riffs and blasting drums are some of the most devastating and aggressive you will hear, and fans of Absu and early Immortal will find plenty to enjoy – ISKRA exert overwhelming levels of energy and brutality in Ruins, outpacing and outwitting the vast majority. ISKRA have toured across scores of countries with countless acts operating in various subsects of punk and metal, with a heavy presence throughout the international underground. A wealth of DIY and independent label releases trails behind them, with numerous albums, splits and demos all available to download for free from their website in accordance with their principles.